Instead of building the temple to woo the Hindus, the BJP decided to play the caste card which it thought would be as useful as the temple card in winning over voters. Unlike even a couple of years ago when the BJP was full of self-confidence about its electoral prospects and was preparing plans for celebrating the 75th year of the country’s independence in 2022, the party’s mood is somewhat subdued at the moment. The reason is the series of electoral reverses which it has suffered in the recent past, losing six assembly elections in a row in Karnataka, Rajasthan, Madhya Pradesh, Chhattisgarh, Telangana and Mizoram. If these setbacks are considered along with the by-election defeats in Karnataka and Jharkhand, then it becomes clear that the wave, which took the BJP to power in 2014, has dissipated. Not surprisingly, the party and virtually the entire Hintutva brigade can be said to be currently in a nervous state of mind. Evidence of their angst was apparent in the calls for immediately starting the construction of the Ram temple given by the RSS and its affiliates like the VHP even though the Supreme Court was considering the matter. These demands indicated that the BJP’s fear of faring poorly in the next general election had seeped through to the other units of the saffron brotherhood who may have also received their own field reports which confirmed that the BJP’s apprehensions were not baseless. Since these outfits depended on the BJP’s continuous political success for their power and pelf, the prospect of once again being cast into the wilderness terrified the RSS and others. The responsibility of being in power prevented the BIP from acceding to the demands of the RSS. But instead of building the temple to woo the Hindus, the BJP decided to play the caste card which it thought would be as useful as the temple card in winning over voters. Its latest ploy, therefore, was to push a constitutional amendment through Parliament by enacing a law which earmarked a 10 per cent quota in government jobs and educational institutions (including the private ones) for the economically backward groups of all communities. Since this percentage is over and above the quotas meant for the Dalits (Scheduled Castes ~ 15 per cent), the Adivasis (Scheduled Tribes ~ 7.5 per cent) and the backward castes (27 per cent), the new beneficiaries will obviously be from the upper castes and the relatively well-off members of the other communities. An amendment was needed because the Constitution lays down that the reservations are to be provided only to the socially and educationally disadvantaged and not to those who are economically deprived. Moreover, the new quotas cross the 50 per cent limit set by the Supreme Court although this restriction isn’t observed by several states via various ruses. It is quite possible that the amendment will not pass judicial scrutiny because it sets up a new criterion for reservations, viz. poverty, and also because it crosses the 50 per cent limit. But the BJP’s purpose of persuading its targeted vote-banks about its concern for the upper castes will have been served. Reports suggest that the party’s defeat in Madhya Pradesh alerted it to the growing resentment among the upper castes against the BJP, especially after the so called dilution of the law relating to atrocities against the Scheduled Castes and Scheduled Tribes by the Supreme Court although the government did bring a constitutional amendment to nullify the judgment. 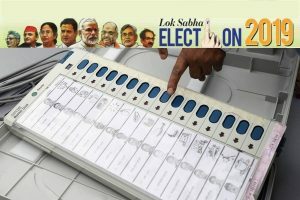 As the day of the general election draws near, there are likely to be more sops in store for all sections of people, including the middle class who will be delighted by the raising of the income- tax exemption limit, which has been necessitated by the fixing of an annual income of Rs 800,000 for those who will be eligible for the upper caste quota. As this reasonably comfortable level of the earnings of a beneficiary along with other factors like the ownership of a 1,000 sq feet flat or of five acres of land show, the government stretched the definition of the “poor” while favouring the reservations. 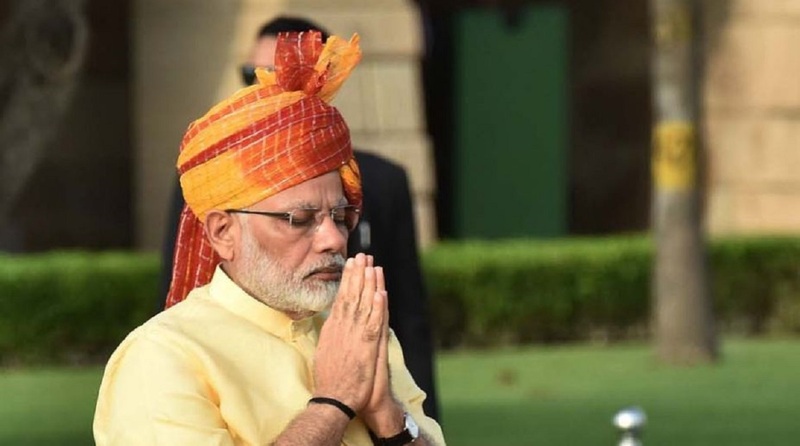 In the 100 rallies which Narendra Modi is scheduled to address before the polling takes place ~ in itself an indication of the huge effort which his party is making by fielding its star orator ~ the BJP’s attention may turn to those who are really in distress, viz. the farmers. To outdo the Congress’s loan waivers for the suicide-prone farmers, the BJP is planning direct benefit transfers of Rs 4,000 per acre per season for the farmers and zero per cent interest loan at the rate of Rs 50,000 per hectare. However, if the government goes on a spending spree to win votes, it will find it increasingly difficult to keep its promise of reducing the fiscal deficit to 3.3 per cent of the GDP. Economists inside and outside the Reserve Bank are bristling at what they regard as the government’s intention to “raid” the central bank’s treasury to contain the fiscal deficit. It has been estimated that the government may spend up to $ 14 billion as pre-poll sops The Reserve Bank’s deputy governor, Viral Acharya, had warned of the country facing the “wrath of the markets” in such an eventuality as Argentina did when the government made the central banks transfer $ 6.6 billion to ease the country’s fiscal deficit. Populism, sometimes called good politics but bad economics, has been a feature of nearly all the governments across the political spectrum. Reckless profligacy marked the fag end of their tenures. The Modi government is no exception.